Naturally, as a teenager, I did not have all the money for expensive laser procedures, and I was at the mercy of my parents (momma bear bought the skin care for the family). I cannot say I didn’t try all sorts of things, though. Anything I would gather whenever I raided my elder sister’s dressing table went straight to my face. Growing up, I did my research on how to care for my oil-ravaged skin. It has been an enlightening journey, and I am more than happy to share what I found. Oily skin is not a curse as I made myself believe. The sebaceous glands are just too enthusiastic when producing sebum, the natural oil secreted by the skin to keep it healthy and soft. With age, the skin produces less natural oil, and those of us whose glands work over time do not feel these effects at the same pace as our less oily counterparts. In short, you will be looking youthful for longer (nature’s way of paying you back for the ridicule of teenage). Myth: Oily skin does not need moisturizing. That couldn’t be more wrong. In your pursuit of oil-free skin, you will probably use several products that promise to help you get rid of the excess sebum. Those products are not always right for your skin, and they could dry it out. Dermatologists recommend that we moisturize our skin to return that moisture. It is a tricky balance. InstaNatural Serum was the first that I bought when I discovered what I was missing. This serum still plays an important part of my daily regimen due to its ingredients: vitamin C, E, Hyaluronic and feluric acid, among other vital components. The Vitamin C helps diminish the blemishes left by scars, acne, or any other trauma of the past. It also prevents the skin from depressors such as the sun’s UV rays. In my list, it is the best serum for oily skin. I had terrible acne, so my skin needed some TLC to get it back to my pre-teen days without ruining it further. 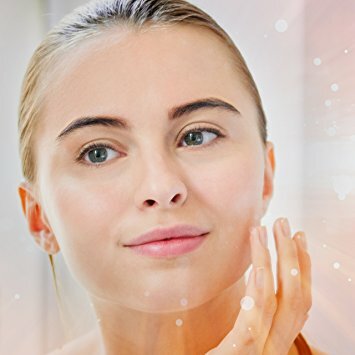 Vitamin E, on the other hand, is popular in the beauty industry for its ability to fight free radicals, which accelerate the aging of the skin. Vitamin C to prevent the skin from aging by fighting free radicals. Hyarulonic and Ferulic Acids which comes from plant cells and works alongside Vitamins C and E to protect the skin from damaging UV rays and to fight free radicals. Argan Oil, which contains antioxidants to prevent wrinkles from forming. It also helps those affected by acne like myself to remove the spots. Carrot seed and buckthorn oils, which have healing capabilities. Apart from the gentle yet effective ingredients, this serum works well for all skin types. I have found it quite difficult dining a product that works for my skin type even when they say it does, but this serum has been good for my oily skin. The ingredients are gentle to my skin. Vitamins C (20 percent) and E, which protect the skin from aging. It absorbs quickly and so does not clog the pores. Money back guarantee if you are unhappy with results. You only require a small amount and your can incorporate it easily into your daily regimen. It is a bit watery, and I find that I need to use a lot more of it than I would like. Th﻿e Organic Serum by TruSkin Naturals first caught my eye for the PH level. The key to radiant skin, as I have learned over the years, lies in the ability to balance acidity and alkalinity. 20 percent Vitamin C – Ascorbic acid helps the skin cells to repair and regenerate. It plays a vital role in the production of collagen, that protein that is responsible for your skin’s elasticity. Aloe Vera and 0.5 percent hyaluronic acid, which has high levels of antioxidants that help to fight free radicals. It works best when combined with Vitamins C and E.
1 percent Vitamin E - which has its levels of antioxidants too to fight those free radicals and keep wrinkles at bay. Apart from fighting free radicals, the combination of Ferulic acid, Vitamins C and E protects that skin from the effects of the sun and prevent wrinkles from forming. If you already have them, this combination will make them less visible. The optimal combination of Vitamins C, E, and hyaluronic acid. Most users notice results within a short time of use. The packaging (dark bottle) prevents oxidation. The price is quite on the higher side. This serum has the consistency that I like – not runny and not too thick, which makes it easy to apply on the skin. It works well with all skin types, even though some people experience dryness after using it. If you do, the divide is to invest in a good moisturizer that could counter the impediment. 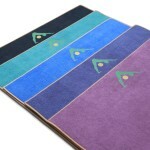 Amino Blend - This amino blend is especially good for people with acne or those working with scars of any sorts. Amino blends improve the blood circulation in those areas to deliver the required nutrients that in the end improve the appearance of acne or scars. Jojoba Oil - Jojoba is gentle to your skin the same way sebum is. When you incorporate it to your daily regimen, you find that the skin becomes softer and better hydrated. 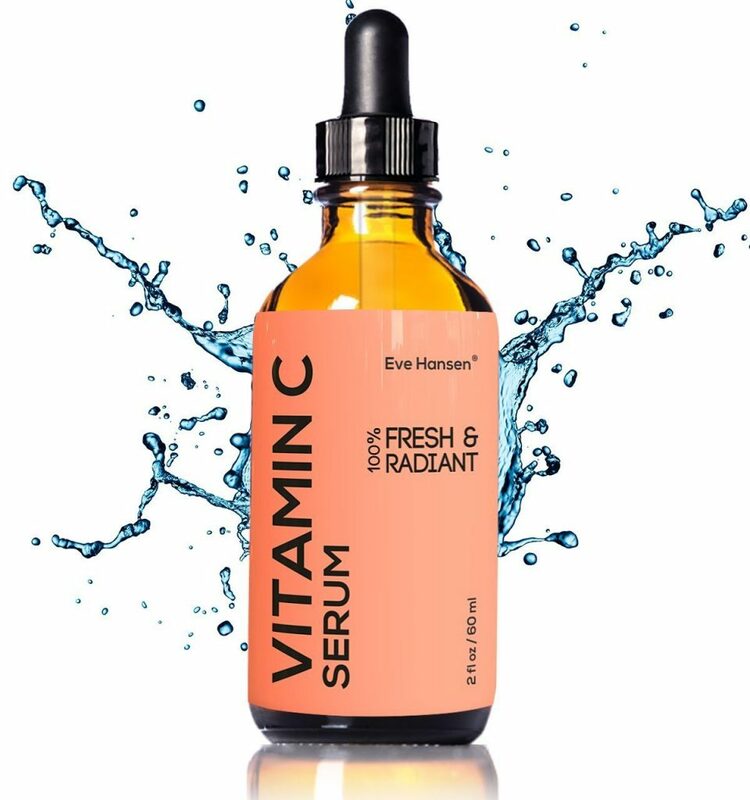 Vitamin C - With an impressive 20 percent of one of the most important vitamins in skin care, this serum takes charge to prevent your skin from premature aging. Free radicals be gone. It works well with all skin types. A high level of Vitamin C.
Foxbrim Serum is a good buy for its minimal levels of the essential ingredients. 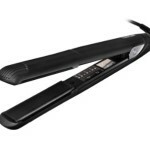 I am currently using it because it has worked so well for me. It contains Vitamin C, E, and Methylsulfonylmethane for the repair of skin cells and wrinkle scare. I noted that the dark bottle keeps it safe from the sun and oxygen, so it keeps safe for longer. Because the consistency is not too watery nor is it to thick, a bottle lasts me well over three months (and yet I apply generous proportions on my face, neck, and arms). For its price, it is a steal. Vegan Hyaluronic Acid - It rejuvenates skin by adding much-needed moisture for dry skin types. It also helps the body regenerate the skin cells and promote collagen, which keeps the skin youthful and elastic. Methylsulfonylmethane and amino complex - They help the skin become more elastic by adding collagen. They also contain my favorite property; antioxidants, which prevent those wrinkles from forming. We all could use some more youthful years. Vitamin C - Who does not need Vitamin C in their lives by a show of hands? This vital vitamin is the base for all beauty products because it protects us from aging prematurely. Oh, and the effect of those harmful UV rays too. The results take so long to show in some users. 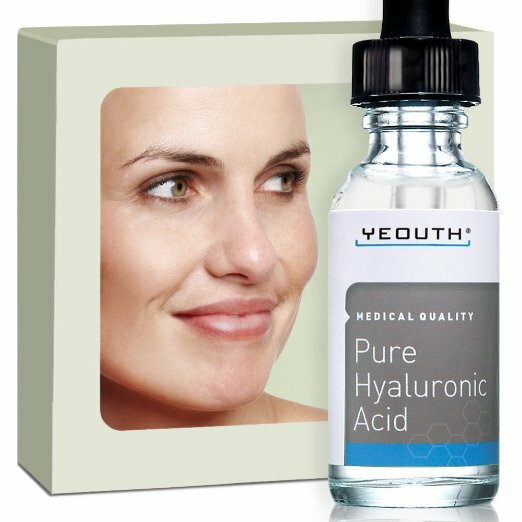 When I was researching on the ingredients found in most serums, Hyaluronic Acid kept coming up. I read widely about it to know that the body produces it naturally and therefore when it is added to serums, it protects the skin from aging. It also hydrates without clogging the skin. It keeps the skin (all skin types) youthful. It absorbs quickly, so it is ideal for my skin type. It is colorless and odorless. The bottle allows no oxidation. Do fish need water? Yes, if you want glowing skin. The secret about serums is that they absorb into the skin more quickly than moisturizers (not so secret anymore. They, therefore, send all the awesome ingredients directly into your skin. You can easily fit them into your daily routine. I add a few drops of serum into my moisturizer, and it works like a charm. I do not have to apply it on its own before moving on to the rest of my morning ritual. 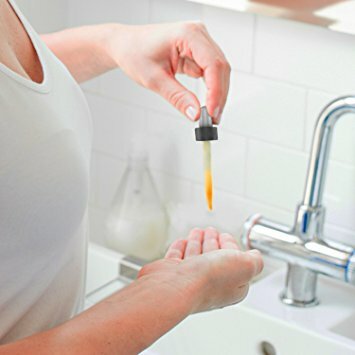 What is the fuss about Vitamin C Serums? Vitamin C is the building block that makes your skin great. It helps fight the free radicals for a wrinkle-free you and enhances collagen to keep your skin youthful. 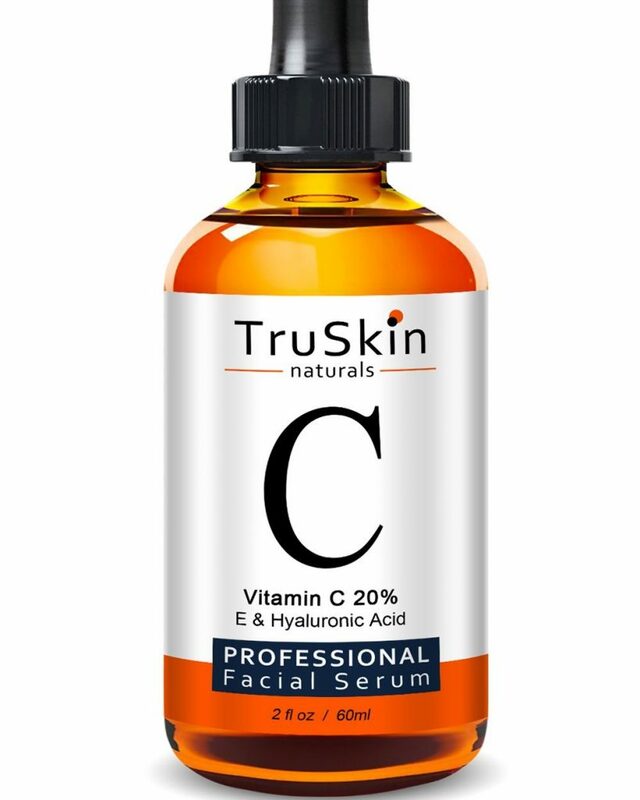 In my quest for the best serum for oily skin, I have found that Vitamin C is a vital component in the ingredients list. Critical: the level of pH. For the skin to stay beautiful, there has to be a balance between the acidic and the alkaline components. The skin’s pH level is 5.5, so you should aim for something in that range. If it has to be higher, you want to be sure that it does not cross the 7 threshold (anything above this is too alkaline and will strip the skin of its natural oils). I have also noted that the serum that feels light on my fingers spreads well on my skin and does not clog it (although serum absorbs quickly). 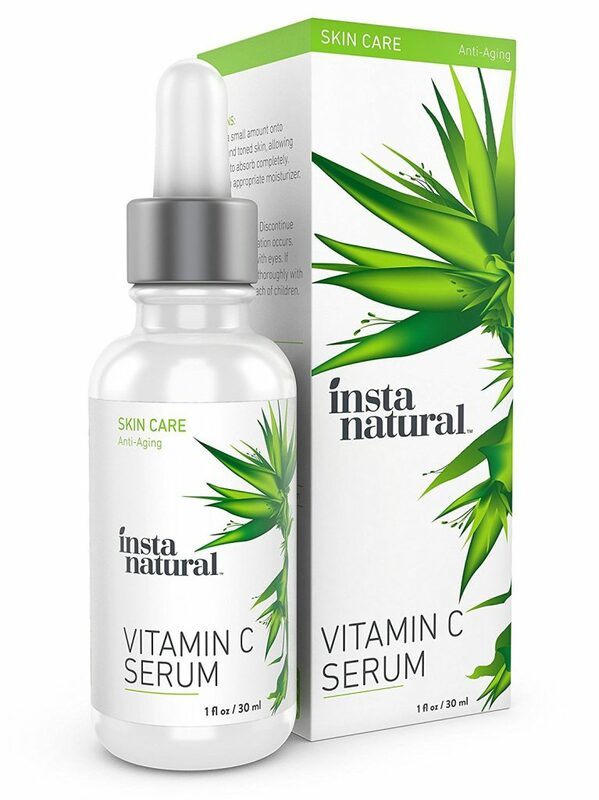 I use a broad range of serums, and at the moment, I seem to be distracted by InstaNatural Vitamin C Serum. I have used it since I discovered serum and still do. It works well with my oily skin. 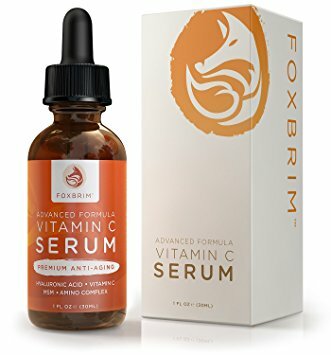 Foxbrim Vitamin C Serum too has caught my attention. 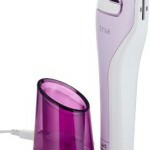 The product is the most affordable in the list, and yet it works wonders. If you are yet to start using serum, what are you waiting for? 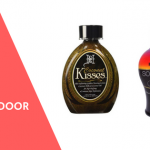 Head on to your beauty shop online and get the best one for your skin type.